When I met Frans, he had just become an uncle. 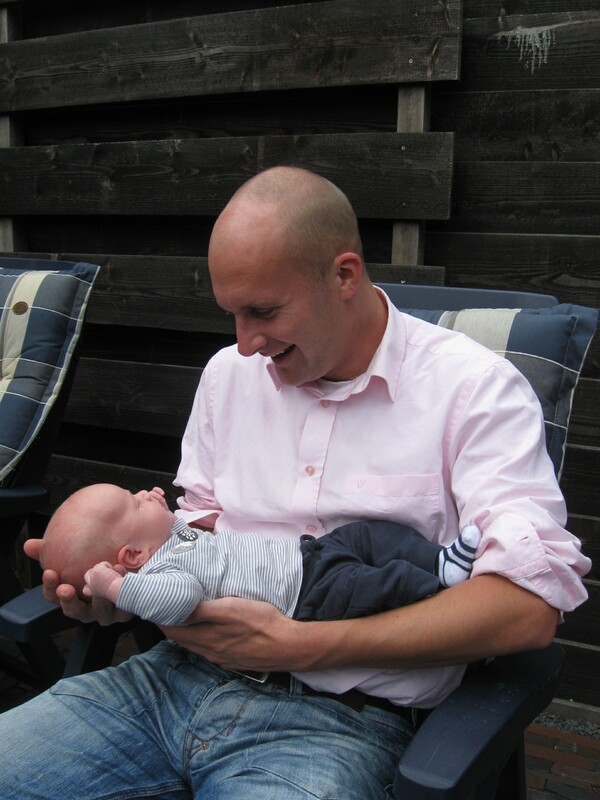 Here he is with his newborn nephew, Floris, who is now walking and talking. I like Floris because we speak the same amount of Dutch. He sent me this photo soon after we met because, let’s be honest. What woman can resist a man with a baby in his arms? But I’m getting ahead of myself. 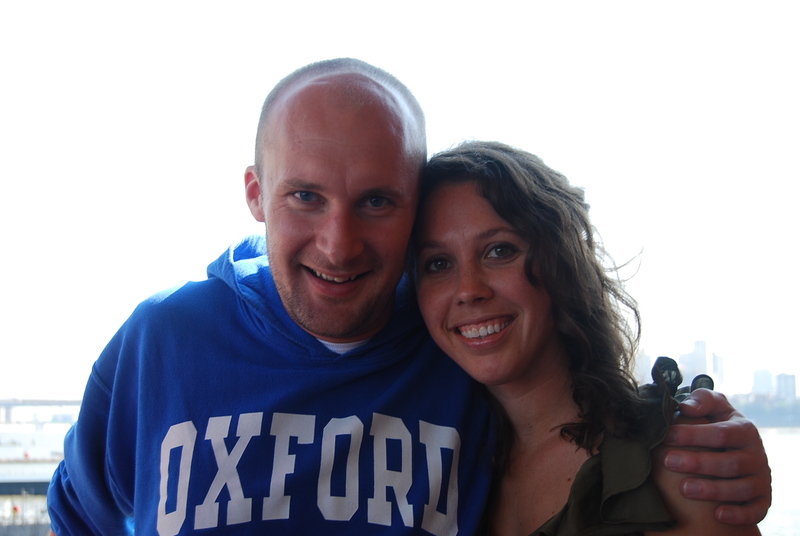 Frans and I met at an unexpected time, and in an unexpected place. For years I’d cringed at those annoying comments like, Love comes when you least likely expect it! For years I heard that message, and valiantly tried to ‘least likely expect it’ so that I could meet The One. I played the casual “Yah, I’m content. Whatever” until I was blue in the face. I was not being honest. It was until I ‘least likely expected it’ myself, that I TRULY threw up the white flag of surrender (somewhat in disgust) and said You’re God. I’m not. My hands are open. No more games. The Place: Sassy Anne’s in Knoxville, Tennessee, the most unlikely of places for a Dutchman and Floridian to meet each other. The Reason: the wedding of mutual friends. PO and Amelia met at Swiss l’Abri where, consequently, I had met Amelia four years earlier (see Part 2 for the shout-out). PO and Frans had also met at Swiss l’Abri and become fast friends two years earlier. Frans and I were never in Switzerland at the same time, however. We both agreed that this was a good thing. Had we met earlier, we wouldn’t have been ready for each other. But back to Sassy Anne’s. Amelia had mentioned Frans, but as I had just thrown my hands in the air like I just don’t care the day before, I was pretty free to take him or leave him. And then I saw him. Tall, blue hoodie. I respected the way he looked at people, the way he carried himself. Hmmm…we briefly talked about Switzerland, but there was no “This Magic Moment” playing in the background. And then I heard him give a speech at the Rehearsal Dinner. He spoke of suffering, he spoke selflessly, meaningfully, unselfconsciously. I recognized that he had depth. The next day, PO and Amelia’s wedding day, was both a celebration and a reunion. And suddenly, Frans was there. He got me a drink, we began to talk, and we were off. The night had ended and there was more to talk about. A pity the wedding was over. He invited me to go on a boat with friends the next day. I gave him my number. That day on the boat is filled with gems. We jumped off a rope into the water. We swam together toward the shore. We played Bocce Ball. Frans lifted me out of the boat. He lost his balance and we fell, and as we did, I felt him instinctively turn his body to cushion mine so I wouldn’t be hurt. But most of all, we couldn’t stop talking. There was a consistent stream of Me too! You too? Our friendship was born that day. Frans is what my friend Jon would call a “front door” type of man. He’s more than simply Dutch and straightforward, Frans is a leader. In a culture that warns its schoolchildren that “if you stick your head above the grain, you might get it cut off,” Frans is a rebel in the face of this rule. First, he made it clear that he wanted to pursue me long distance. Second, he made it clear that it was perfectly fine if I said no. Third, he established trust. We quickly went from Facebook to e-mails, to Skype. We have hundreds of hours of Skype conversations. We’re grateful for that kind of foundation, a foundation built on conversation. At the beginning of September 2011, I got a letter from Frans inviting me to meet him in New York City. Before we met in New York, Frans drove 6 hours round trip to meet my parents, who happened to be in Europe for the first time in their lives. They talked for 5 hours. After they talked, my parents were excited that I was meeting Frans in New York. Frans knew the importance of establishing trust, and the time it takes to do that. It also takes sacrifice. Frans paid the extra amount for two bedrooms in New York, because it was important both of us that we not skip over any steps. We involved our families and friends. We wanted a clear picture of the whole person, so we skyped with each other’s parents, brothers and sisters-in-law, and friends. When we met in person (me in Holland in December and Frans in the States in March), we saw more of the same. The consistency within our stories about our friends and family was important. It matched. It showed integrity. Surrounded by family and friends, and with God smiling on us, we did. It was the end of something, and the beginning of something else. Our story. What a delightful story. Thanks for sharing Erin. You’re welcome! Good to see you on here, Ashley. tears in my eyes… happiness in my heart. so sweet Erin!!! And you were a part of the journey…the waiting part. And such a good listening ear and encourager! Awww – this is great! Thanks for sharing it! Leeann, thank you for being there. I love your story! See you tomorrow to celebrate your story! See you tomorrow, Willemijn! So glad you’ll be there to celebrate with us! Very inspiring story… Well-written too. Good food for thought… See you tomorrow! Thanks for reading, Folkert! Looking forward to seeing you tomorrow! “(Some of you who are reading this are gagging because you’ve been waiting for a moment like this. Go ahead and throw up if you need to. I understand; I’ll even hold your hair. )” This needs to be in a book somewhere somehow. I love so many things about these posts: your honesty, your story-telling, picturing the girl living out each of those moments. 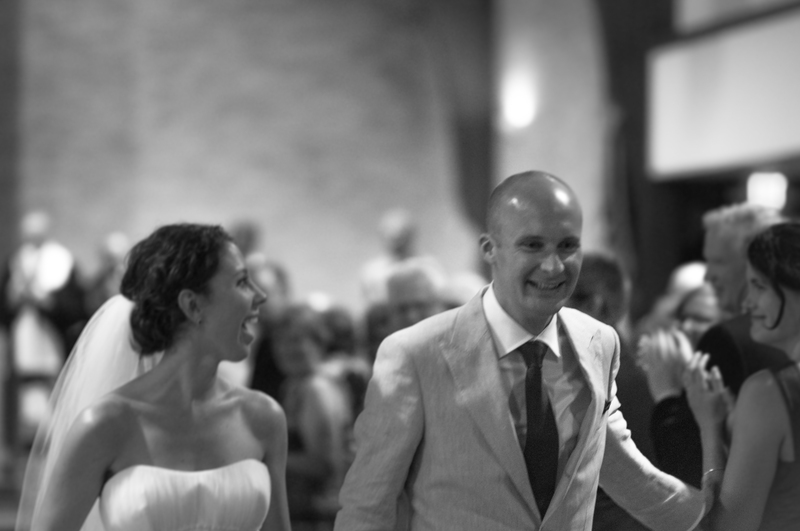 I also LOVE the wedding photo with Frans saying a physical ‘thank you’ to Amelia as you pass by. I’m so privileged to know you both. Love you! Thank you for being my cheerleader, KK Campbell. And you notice the small (big) things too. Love you back! yes, I’ve observed parts of this story so my eyes were full of tears seeing it written so skillfully & with your grateful awareness of your heavnely Father’s touch on it. Keep writting! Thanks, Mom. It’s so good to have you as a voice and observer of my life. I will never tire of you cheering me on! And I loved that you and Jordan came to our wedding, Kimberly! You are near and dear to our hearts over here. We’re not the only ones who would love an Amsterdam reunion! I went from tearing up to crying last night when finishing the story. The main thing I saw in your story is that God is faithful. Your “formula” is the word of God, and you set your heart to listen to it. Trusting God that He will provide, meanwhile using the waiting to teach you that we cannot be happy without Jesus. Then I was thinking about my story, how different conditions we grew up in. At times I did not have a formula, did not set my heart on listening to it and I have piereced my heart with a thousand sorrows. There must be a lot of barrels filled up with my tears wherever the Lord gathers them. But He is the Lord of grace, that turns around every misfortune or mistake to be even a better blessing in the future….and thinking about these on my way home, late at night, I saw a huge sign, for you and me, a name of a shop: GROW CITY. It is a real pleasure to have met you Erin. So beautifully said, Dana. You must write in a blog of your own!